On September 6, the 181st Banking Routine Press Conference was held in Beijing. Dr. Eric Yip, General Manager & Head of China Division of The Bank of East Asia Limited (“BEA”) and Mr. Cartier Lam, Executive Director & Chief Executive of the Bank of East Asia (China) Limited (“BEA China”) attended the conference together and discussed the hot topics of how to grasp opportunities created by financial opening-up, and continue to deepen the mainland market and future development opportunities, under the theme of “BEA with a history of one hundred years, rooted in China, embracing and developing further new opportunities”. BEA was established in Hong Kong in 1918. In 1920, it established its first branch in Shanghai. Since then, it has maintained a presence in Mainland China. As one of Hong Kong’s earliest Chinese banks, BEA adhered to the concept of “promoting for the motherland and strengthening the country” at the beginning of its establishment, and was a witness to and active participant in key historical moments in the Mainland’s opening-up. In 2007, BEA became one of the first foreign banks to establish a corporate bank in the Mainland. Since then, its wholly-owned subsidiary, BEA China, has developed steadily in the Mainland market. BEA China has pioneered a number of services that have been adopted by other foreign banks. For example, in 2008, BEA China became the first foreign bank to issue RMB debit cards and credit cards in the Mainland; in 2009, it became the first Hong Kong-incorporated foreign-funded bank to issue RMB retail bonds; in 2014, it became one of the first foreign banks to open an outlet in the China (Shanghai) Pilot Free Trade Zone; in 2015, it took the lead by adding WeChat Pay functions across the board; and in 2018, BEA China became the first foreign bank to receive approval to open a branch in Qianhai, Shenzhen. As one of the largest foreign banks in mainland China, BEA China has long responded to the call of the country and fully supported the country's key development layout and strategy. In response to the “Belt and Road Initiative” initiative, BEA China actively leverages its domestic and overseas connections with its parent bank and works closely with overseas branches (such as Singapore Branch and Malaysian Labuan Branch) along the “Belt and Road” to provide efficient cross-border financial solutions for trade and investment finance to Mainland enterprises in Southeast Asia. . In addition, BEA China also actively supports participation by customers in the construction of bridge infrastructure and the acquisition of equity in ports along the “Belt and Road”. On August 24, 2018, at the fourth meeting of the Shanghai-Hong Kong Co-operation Conference, BEA and the Shanghai Pudong Development Bank held a ceremony to mark the signing of a comprehensive strategic cooperation, agreement, focusing on comprehensively deepening bilateral cooperation in areas such as the “Belt and Road”, the Science and Technology Innovation Center and the China (Shanghai) Pilot Free Trade Zone. As a bank from Hong Kong, BEA China attaches great importance to business development opportunities in Guangdong, Hong Kong and Macau, and is committed to becoming a major provider of financial services in the region. Qianhai, Shenzhen will be an important entry point for Guangdong-Hong Kong-Macao cooperation. In 2013, BEA China took the lead among foreign banks by establishing Qianhai Sub-branch, specifically supporting and serving the construction and development of Qianhai. 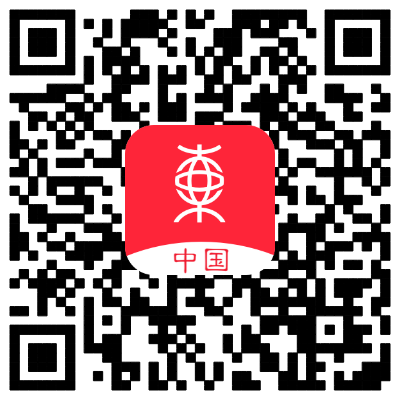 After years of in-depth service and coordinated development, Qianhai Sub-branch has a good customer base and service system, and has established strategic partnerships with a number of innovative institutions and platforms in Qianhai. In July this year, Qianhai Sub-branch received approval from the China Banking and Insurance Regulatory Commission to upgrade to a branch. BEA China was also the first foreign bank in the mainland to be granted permission to set up a branch in Qianhai. At present, the network layout of BEA China fully covers all the major cities in Guangdong, as well as Hong Kong and Macau. In addition, BEA China has planned a series of investment projects in Qianhai, including the previously established East Asia Qianhai Securities Company Limited and BEA Union Investment Management (Shenzhen) Limited. In the future, BEA will focus on promoting services including cross-border finance, trade finance, and treasury management.in the Greater Bay Area, and will design comprehensive product service plans to capture development opportunities. BEA has a long-term strategy for the mainland market. Under the new economic normal, it will always actively participate in and combine its own advantages to continuously broaden its range of financial products and provide more comprehensive services. At the same time, it will further play a role in bridging Hong Kong and mainland enterprises, promote wider exchanges and cooperation between Hong Kong and the Mainland, and then achieve mutual benefit and common development.